Today, traditional brick & mortar Retailers are struggling and are asking themselves “How can I survive and provide the superior customer experience in a market where e-commerce businesses are thriving?” Traditional Retailers lack the solution that can engage and retain their customers. In the absence of any proven strategy, quality of service has deteriorated. 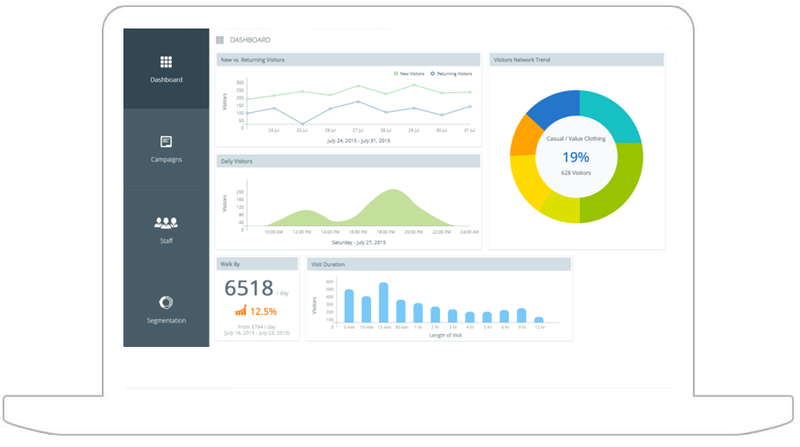 Softweb’s Smart Retail solution helps businesses analyze their corporate strategy and develop a full-fledged plan to attract customers to their store, connect them with products, and increase overall profitability. 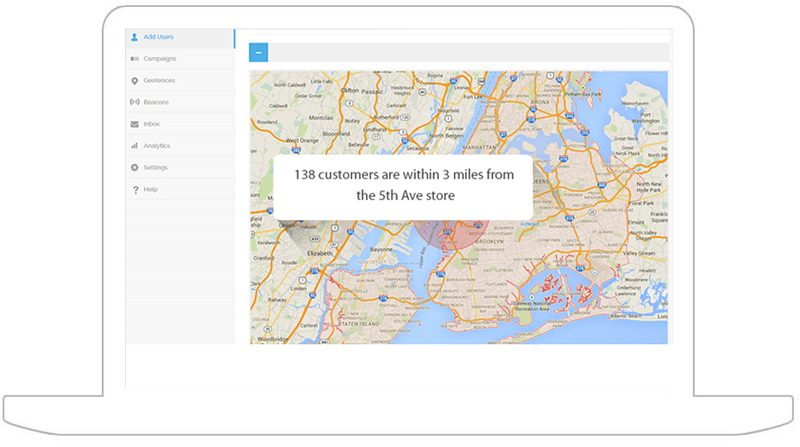 Our IoT-based contextual marketing solution identifies when your existing customers will be in the vicinity of the store’s location. Once the customer is in the geofence area, he/she will receive a notification that can either inform the customer about current promotional offers or about the trending products of the store. After the geofence campaign message, if the customer enters the store, he/she will receive a welcome message. 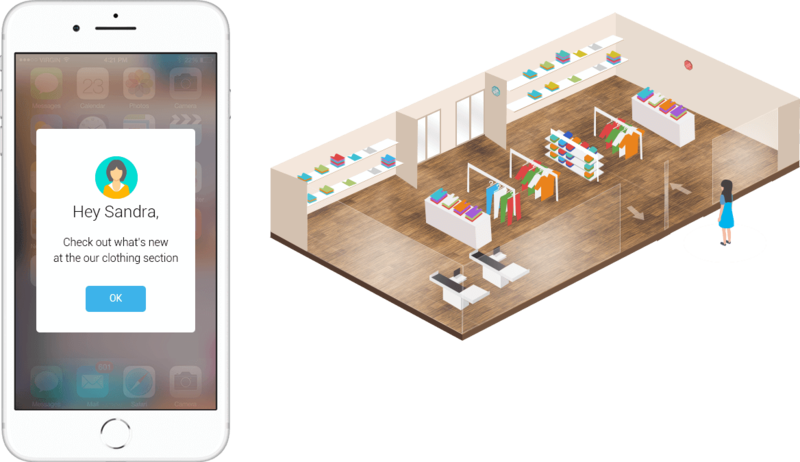 Our Smart Retail solution can also identify which products are picked by the customers and can send a detailed description of the product to the customers’ smartphone. Customers can purchase the product by making payment directly from their smartphone. When customer reaches the exit point, the IoT-enable retail solution can thank the customer on the store’s behalf. 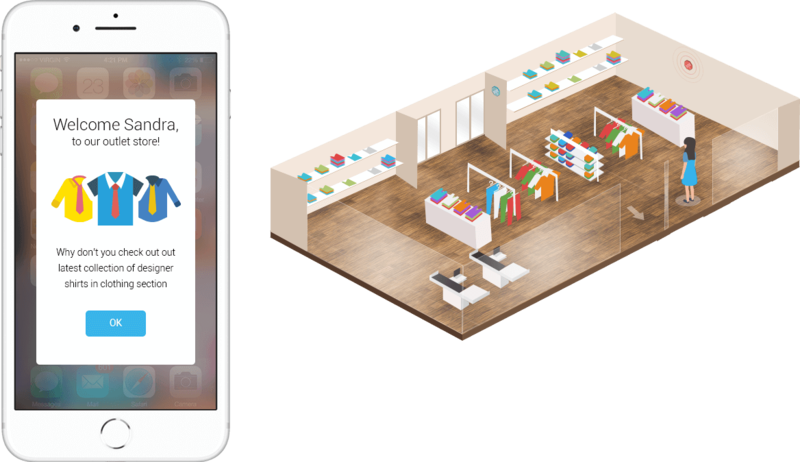 Beacon technology is dramatically creating waves in the retail industries. With rapid pace and ubiquitous adoption of mobility, smartphones and tablets have become a necessity in our daily lives. Read how ShopperTrak invested in in-store beacon-based marketing and advertising solution for casino, resort, and mall. With Smart Retail you can create customer groups based on their behaviors, interests, context, and location so that you can deliver the right message to the right person. Deliver customized and interactive media content directly to your customers’ devices with Smart Retail. Arouse your customers’ curiosity and drive sales with promotional vouchers, announcements and automate your marketing with personalized scheduled campaigns. Two-way conversation is a core of any business and thus Smart Retail works with you to find the easiest ways to listen to your customers no matter where they are. 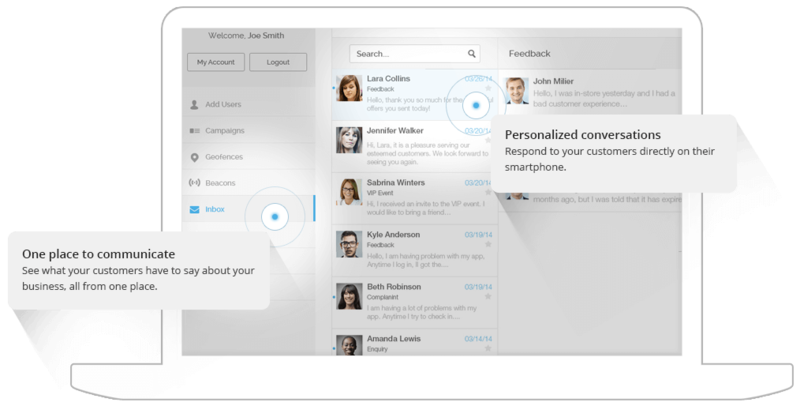 With Smart Retail you can establish a customer dialog, involve them in your campaigns and enable them to engage in dialogs. 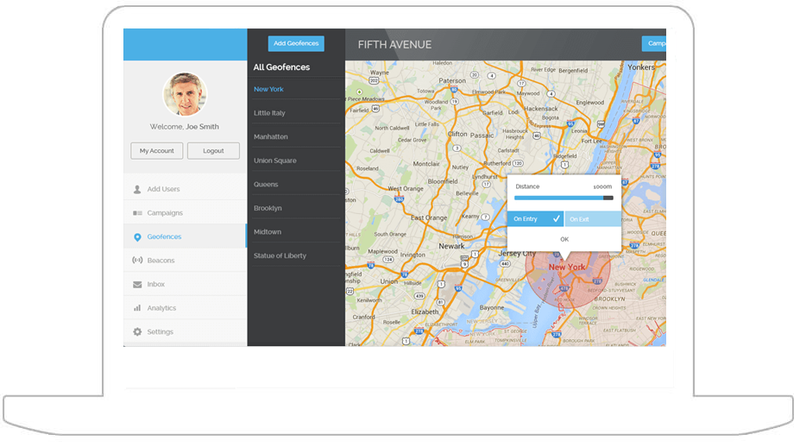 Create Virtual Zones (geofences) to target your customers at street level or near competitor locations. For best results, combine these with Groups. 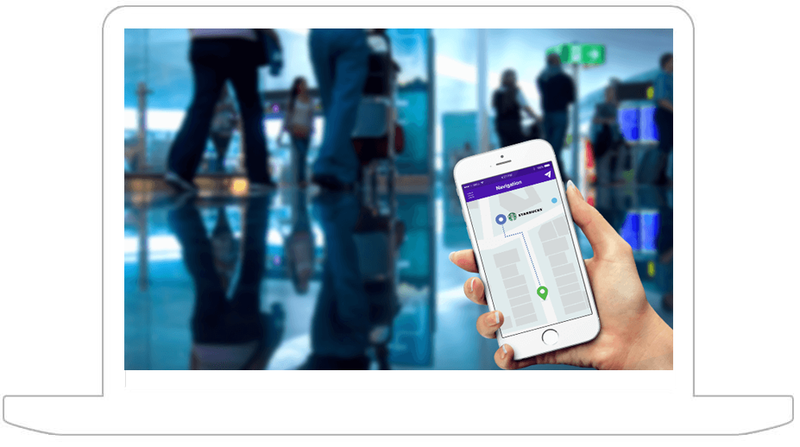 Indoor navigation helps customers to find the precise location of the product that they want or the place they want to visit inside a building. 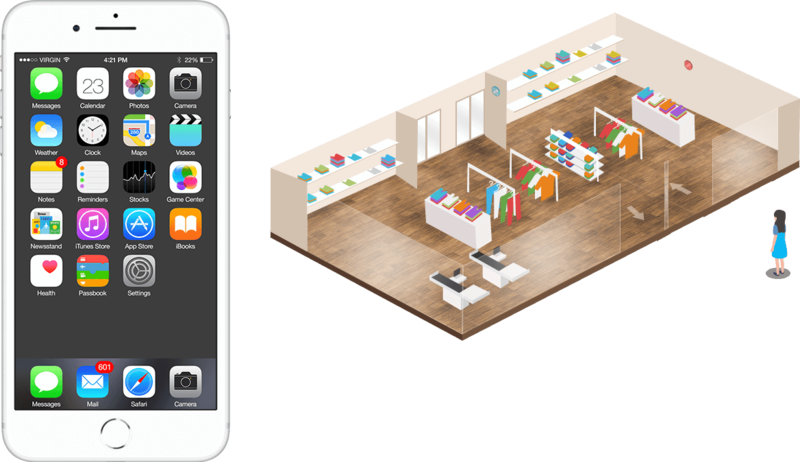 Our Smart Retail solution provides highly accurate maps of customer locations within the establishment using Bluetooth beacons and smart sensors. 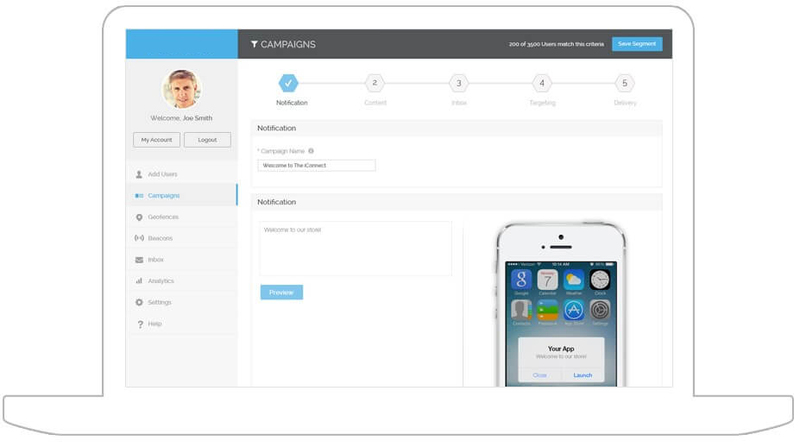 Comprehensive analysis gives you purposeful insights into your campaigns. Help your management with effective decision making and gain comprehensive and purposeful insights for in-depth analysis of your campaigns. Not sure how to get started with IoT? IoTConnect is the result of thousands of hours of development representing our continued dedication to help companies like yours to take advantage of the IoT revolution. Our experts can walk you through a personalized demo to help you realize how our IoTConnect platform can deliver value to your business and generate new revenue opportunities.